If you haven’t noticed already, Pinterest is growing in a big way – and by that, I mean it is overtaking the mobile game. Let’s face it. Some social platforms just work better on mobile, and alongside Instagram, Pinterest is dominating mobile traffic. In fact, 80% of Pinterest’s traffic comes from mobile devices alone. Not only is it flourishing on mobile, but it is also achieving great overall growth. According to a poll from Pew Research, the “proportion of online adults who use Pinterest has doubled since Pew Research Center first started tracking social media platform adoption in 2012.” It has also doubled its male user base in the U.S. within the past year. And it’s only going to continue to expand. So why does Pinterest do mobile better? It’s useful in realtime. Need the perfect dessert recipe for your family’s big upcoming Thanksgiving dinner? Want to figure out a new way to style your hair because you’re over the messy bun? Need to DIY a gift idea for your friend’s birthday that Facebook just reminded you about? Your answer will always be grab your phone and search Pinterest. It actually shows you the things you want to see. Unlike other social platforms, where you scroll through your feed out of habit and not because you actually find things interesting, Pinterest is very good at showing you the pins you want to see and even recommending other accounts, boards, and pins that are relevant to you and what you like. It’s easy. There’s nothing confusing about the layout – it’s simple and straightforward: like, comment, repin. It’s a beautiful distraction. Whether you’re out running errands and have a bit of waiting time or you’re using your phone to avoid an awkward social situation, Pinterest is there to save you with pages upon pages of attractive design and content. Even with all this, Pinterest continues to push the boundaries. Just this month, it revamped its mobile app to be more “useful”. Don’t be alarmed! There’s not going to be a major change in how it looks, but there will a shift in how it behaves. Pinterest’s aim in the redesign was to put less emphasis on self-expression and curation and more emphasis on utility. What this means is that your profile will evolve as you pin with your six most recent pins being highlighted at the top of the page, which becomes a better reflection of what you as a user are interested in at any given moment. The goal in all this is to keep pinners engaged and coming back to their profile as a useful, actionable tool. 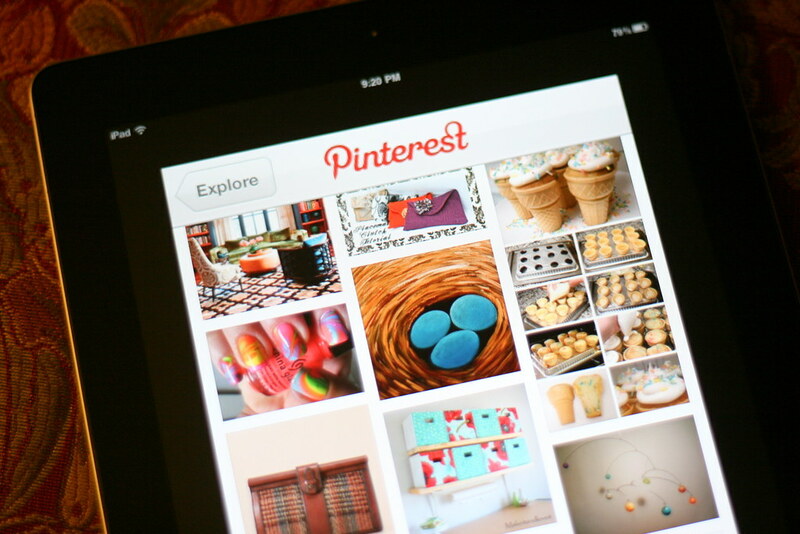 What do you personally love about using Pinterest on your mobile device? Do you find the Pinterest redesign more useful? Let us know in the comments!